hello David. I’m a member of 501st making props as well. I’m Huang. I received my snapmaker today, and it’s really fun! This is my first 3d printer, so I’m learning everything. Engineer working as a science teacher. Always been technology interested. I have 3D-printed before, sp I will use the Snapmaker as an upgrade to my small home printer and as my entry into laser engraving and CNC-work. I’m Harvey, a retired electrical engineer interested in getting into 3D printing as a hobby. Missed out on the Kickstarter campaign and pre-ordered through the Snapmaker website. Welcome to the club, I am a complete newbie to this skill. Have played with the laser last week, absolutely brilliant; printed two 3D projects this week and having fun. Hi My name is Mike I am a complete newbie to anything 3D . I am hoping to learn from others. My name is Rob and I am from from New Jersey, USA. I used to do 3D modelling in the early days of SolidWorks (mid 90’s) when I worked as a Mechanical Engineer. Looking forward to trying it again to see what I can make for my tabletop gaming hobby. Jump in the waters’ fine. I too am a newbie and the Snapmaker works well. Our sister company (Emotis or Fillauer Composites) has a WardJet Emerald 1530, 5 Axis Infiniwinder. They just recently acquired it so I haven’t gone over to see it run but I’ve heard all about it. Pretty neat machines. 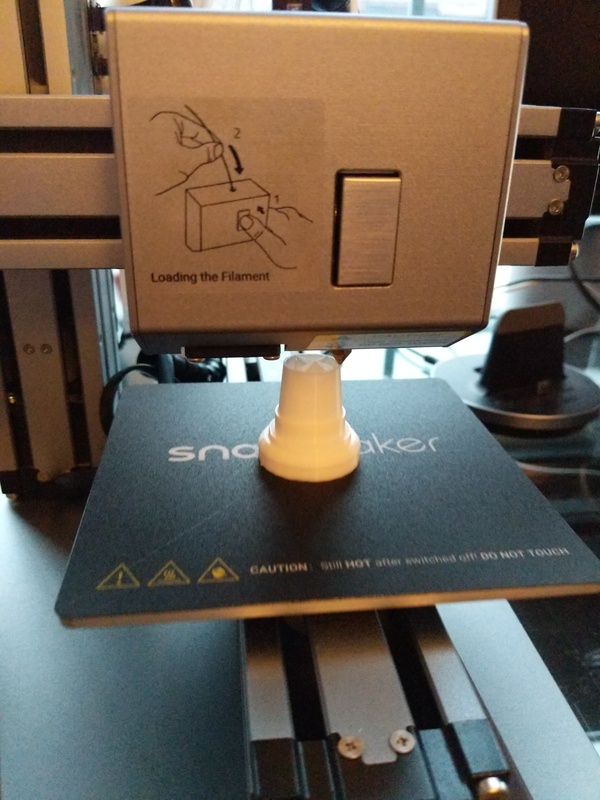 Hi, I’m Allen and I’m new to 3D printing and Snapmaker is my first ever 3D printing. Would love to try out my newly received 3D printer soon. Cheers!! My SnapMaker arrived last week and I’ve had fun getting it set up and working. Just looking for some “proper” stuff to print. Only issue I’m having is that the CNC and Laser don’t seem to work without plugging directly from PC to the Maker, it won’t allow me to upload G-code without connecting a port. Is anyone else having the same problem? I am a newbie to these technologies, I can tell you that there are a number of great projects to get started with on www.thingiverse.com Search for Snapmaker and you will see a good collection from talented users on this forum. I have printed several so far. Assembled the printer already printed 6 items absolutely brilliant love it . That is great, as a newbie I am only a couple ahead of you. I have also played with the… a lot more to try on other media such as wood, leather and acrylic. Yet to try the CNC. It is great fun and with a purpose. Hello all! Here from Canada. Just got to assemble my Snapmaker today and did a couple of awesome prints. Looking forward to learning more from you all on here. I am Ira, from near Chattanooga, TN. Zero experience with mechanized 3D print and design.